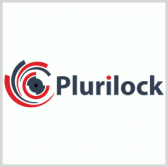 The Department of Homeland Security’s science and technology directorate has awarded Plurilock Security Solutions a contract to build an identity management system designed to protect sensor platforms and other internet-of-things devices against cyber threats. DHS said Monday the company aims to secure non-person entities and their affiliated institutions from botnets, exploit kits and distributed denial-of-service attacks with BioTracker. The platform will work to help authenticate the identity of NPEs and thwart cyber actors posing as smart devices to access and steal user information, spread malware or bypass security measures. NPEs, which use limited resources such as low processing power and energy, are often used by first responders as wearable technology, DHS noted. Anil John, research and development program manager at S&T’s identity management division, said Plurilock’s method to support local cryptographic identifiers and identification technology for legacy environments can help the department secure critical network assets. DHS awarded the Identity and Anti-Spoofing of Non-Person Entities contract through an “other transaction” solicitation process under the Silicon Valley Innovation Program. Plurilock is based British Columbia, Canada, and is the second non-U.S. company to receive an S&T SVIP contract award.